Next week, Team Elire will be in Rosemount, IL for Quest PeopleSoft RECONNECT! 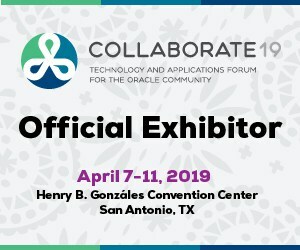 As largest PeopleSoft focused conference around, RECONNECT offers more than 200 deep-dive sessions across all PeopleSoft product areas including PeopleSoft in the Cloud, Selective Adoption, Testing Automation, Fluid UI, and more! With over 600 Cross-Industry Attendees representing Financial Services, Healthcare, Utilities, Public Sector, Education and others, the networking opportunities through Special Interest Groups, Roundtables, Receptions, and Exhibitor Showcases is unmatched! Elire will be presenting FIVE sessions this year, as well as exhibiting at Booth #403. Stop by during open exhibiting hours and enter to win a Yeti Backflip Cooler! 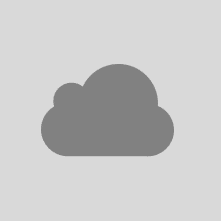 8:00 – 9:00 am PeopleSoft on Oracle Cloud: What Does this mean for your PUM Strategy? Discounted registration is available through July 12th here. Earlier today, Oracle extended Premier Support for PeopleSoft through 2030. Last May, Oracle announced it was extended support to 2027. 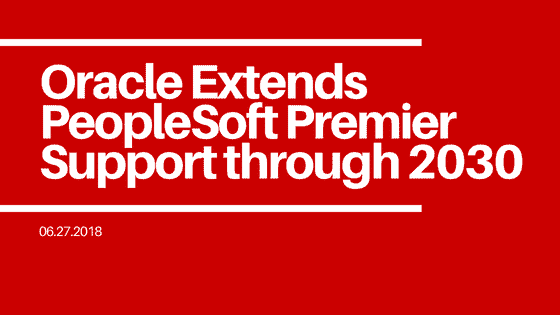 The continuing extension of Premier Support for PeopleSoft applications is seen as a gesture of good faith that Oracle will continue to not only support PeopleSoft, but also continue to add new functionality and enhance existing features for loyal PeopleSoft customers. This extension also comes with a promise to extend the currently stated Premier Support “at least” date annually bu one calendar year, allowing for a “rolling window” of 10+ years of Premier Support for all PeopleSoft applications (CRM, CS, ELM, FMS, ESA, SCM, and HCM) Continuous Innovation Releases. Check out the original article from Marc Weintraub here. New Year, new Ask the Experts! We connected with Elire Treasury Advisory Services Practice Lead, Cory Bratts, to discuss what obstacles organization’s usually face when tasked with a Transformation to their Treasury Operations or a new Treasury Workstation implementation. Here is what he had to say! Interested in learning about Elire’s Strategic Treasury Roadmap to avoid these common obstacles? Attend our webinar, “Treasury Transformation: Plotting a Course with Elire’s Treasury Strategic Roadmap” on March 27th. PRESS RELEASE: Elire Inc. becomes a Certified Oracle Reseller! Providing additional value for long-term and new clients. Elire Business Development Manager, Geoff Engelhart, adds, “Elire is excited to expand our long-term partnership with Oracle and grow the strategic partnerships we have with our current, and future clients. As an approved Oracle re-seller, we’ll be able to help our clients maximize their IT investments like never before” in regard to Elire’s new capabilities. During Elire’s 13 years in business, the company has focused on being a Trusted Advisor and Partner to their 200+ clients. Elire’s prominent clientele are revered as leaders across a wide range of industries and verticals. The move to becoming a Reseller further solidifies Elire’s industry-leading position as a “go-to” Oracle Partner, and allows for organizations to have an experienced partner across all their Oracle needs.